The Eurozone – the single currency area of the European Union – requires all member countries to stick to a set of rules in order to maintain stability of the currency. One of the central principles of the Stability and Growth Pact (SGP) is that countries must not run an annual budget deficit – the difference between its income and its spending each year – of more than three percent of its GDP. Both Spain and Portugal are in breach of the SGP, triggering the warning from the Commission, which could lead to a fine of 0.2 percent of GDP. Spain’s deficit hit 5.1 percent in 2015, while Portugal’s is believed to have been 4.2 percent. Taken together with the woes over the third Greek bailout – the subject of disagreement between its creditors – the latest warnings are a further sign of the dysfunctionality of the single currency, because of a north-south divide in the economies of the member states. For the SGP to work, all euro member states must have similar fiscal policies – which they patently don’t have. At the height of the sovereign debt crisis of 2008-9, Greece, Portugal, Ireland, Spain and Cyprus were unable to repay or refinance their government debt or to bail out over-indebted banks without the assistance of third parties like other Eurozone countries, the European Central Bank (ECB), or the International Monetary Fund (IMF) – otherwise known as the Troika. One of the fundamental issues of sovereign debt crisis is that – previously, when the countries all had their own currencies – the governments would have devalued the currency to recover the situation. With a shared currency, they were unable to adopt that course of action. 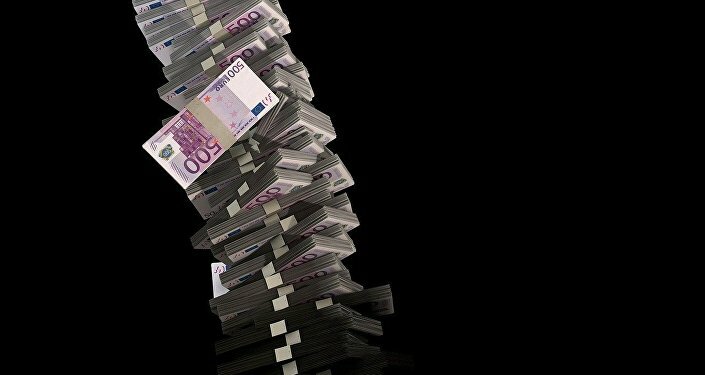 ​With Greece teetering on the edge of its third bailout conditions, Spain and Portugal on the brink of being fined and Italy also warned, the Eurozone is facing fundamental problems, with many critics saying all the single currency member states will have to move towards ever closer union and adopt common fiscal – and therefore – political policies, if the currency is not to collapse.